Cairns is one of the most popular holiday destinations in north Queensland, not only because of its beautiful seaside location, modern shopping, dining and entertainment options or its glorious tropical weather. Its proximity to the World Heritage listed Great Barrier Reef is certainly one of its biggest drawcards however there are a fantastic range of things to do in Cairns that revolve around its unique native wildlife, its amazing landscapes and natural attractions as well as the area's history. Great Barrier Reef: One of the Seven Wonders of the World, this marine playground is home to 400 different species of coral and 1,500 species of fish, turtles, rays and even dolphins. A huge range of tours visit the reef daily to snorkel, scuba dive and explore. Kuranda Train & Skyrail: A must-see attraction on any visit to Cairns, the Kuranda Scenic Railway & Skyrail travels through the Barron Gorge National Park offering views of the tropical rainforest, mountains, waterfalls and gorges. Travelling 7.5km and reaching 40.5m high, two mid-stations feature historical displays and unbelievable photo opportunities. 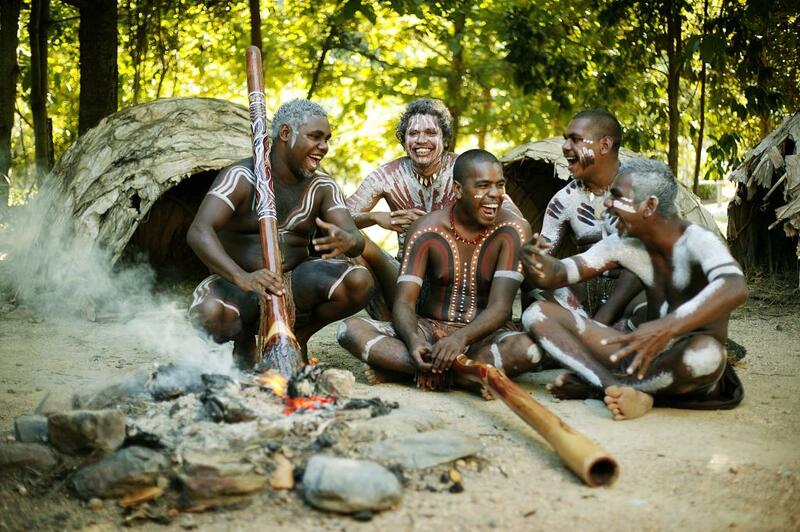 Tjapukai Aboriginal Cultural Park: Experience the aboriginal culture of the Tjapukai people through live performances of storytelling, music and dance that brings the world's oldest living culture to life. 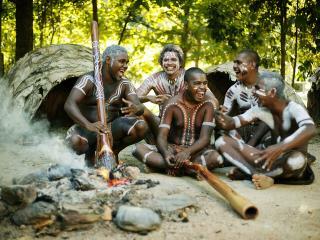 Guests can also take part in activities such as face painting, boomerang throwing and didgeridoo playing. Daintree National Park: Visit Australia's largest tropical rainforest and discover a wide range of plants and animals found nowhere else in the world. Guided tours are available including a cultural experience that allows you to learn survival skills, make your way through muddy mangroves and even catch your dinner with an aboriginal guide. 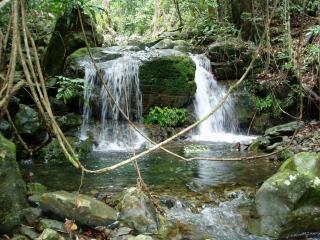 Island Day Trips: Just off the coast of Cairns a number of smaller islands are popular places for day trips. A relaxing place to work on your tan, go for a swim, or snorkel the underwater world, the most popular islands include Double Island, Fitzroy Island and Green Island. Four Wheel Driving: Although 4WD hire is available, the best way to experience the region is on a tour led by knowledgeable guides. Adventures range from multi-day camping trips as far as Cape York to Daintree Rainforest experiences and day trips to the Atherton Tablelands. Fishing: The waters around Cairns are teeming with fish and with off-shore Great Barrier Reef, rivers, lakes and estuaries to choose from, some of the world's best fishing can be found here. Boats are available for hire however joining a tour is a great way to benefit from the local knowledge of where to catch the biggest and best fish. Paronella Park: Built at the turn of the 20th century, Paronella Park and its grand Spanish castle is one of the most popular attractions in Cairns. Boasting 13 acres of lush gardens, rainforest, waterfalls and ancient ruins, the park is divided into upper and lower sections connected by the 47-step Grand Staircase. Hartleys Creek Crocodile Adventure Park: The quintessential north Queensland experience, Hartleys Creek Crocodile Adventures is a popular attraction with both locals and visitors alike. Located between Port Douglas and Palm Cove, the creek is set at the foothills of the MacAlister Range and offers a range of native wildlife and habitats as well as the resident crocodiles. Cairns Markets: No visit to Cairns is complete without a visit to the famous markets. Held both day and night, visitors and locals flock to the open air markets on Friday, Saturday and Sunday to enjoy live entertainment, a delicious range of street food as well as a huge range of stalls selling everything from locally grown produce, handicrafts and imports.